Posted on the ProtonVPN Blog – August 24th, 2018 by Augustinas in Privacy, Security. Whenever you store or transmit data online, there is a risk of getting hacked. However, there are actions you can take to protect yourself. 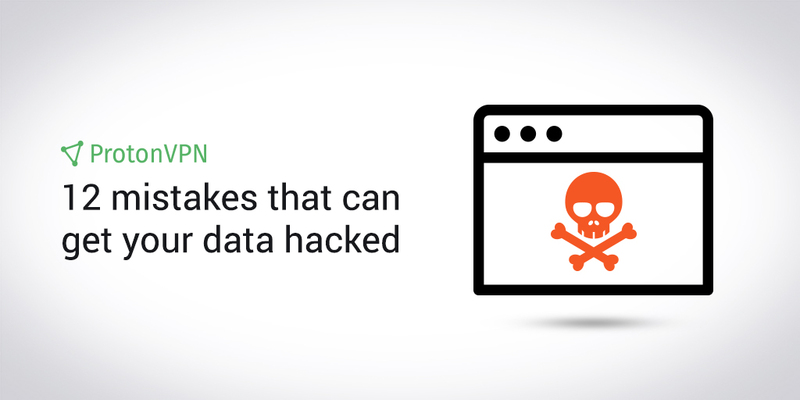 Here are 12 common mistakes that can jeopardize your online data, along with simple fixes. Along with the unprecedented convenience of the Internet has come the increasing risk of hacks and identity theft. Every day there are new examples of an individual or organization suffering a major cyber-attack, and each attack offers a warning to the rest of us. For instance, after the University of Michigan had three of its Facebook accounts hacked, they published a detailed breakdown of what happened. Their case study illustrates how one weakness can compromise an entire system.